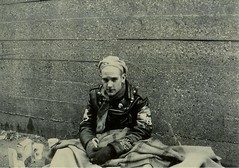 Waiting in the alley beside the Aragon Ballroom for the 1991 Morrissey concert. Image courtesy of Flickr. Click on photo for more images by cbording.